Extending or renovating your home can be one of the biggest financial investments you’ll make. This is why it’s important to select a builder that not only understands your specific needs but also has the experience, knowledge and qualifications to ensure you achieve your desired outcome. Knowing how to select the right builder is critical to the overall success of your project. Are they a licensed builder? It’s important to ensure that the builder has the required licensing to carry out your project. If your builder isn’t licensed you’re at risk of losing valuable protection against poor workmanship and questionable business practices. To find out if your builder is licensed you can contact the Department of Fair Trading. Roddy Constructions’ building license number is 267217C. Do they specialise in home renovations and extensions? While some builders construct a broad range of buildings such as new homes, commercial and investment properties, other builders specialise in specific types of construction like renovations and/or extensions. Builders that focus on and specialise in projects that are of the same nature to yours, will not only have a structured and systemised approach (due to them performing this type of construction regularly), but will also be able to provide superior value to their client in way of faster & more efficient construction and better buying power. Does the builder have the appropriate insurances and warranties in place? 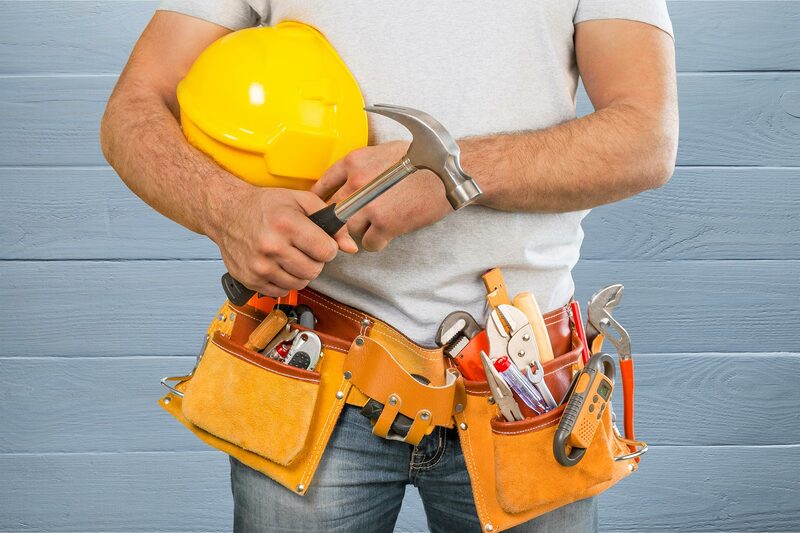 Not only is licensing essential, it’s important that your builder can offer full warranty for their work including Home Owners Warranty Insurance, Contract Works Insurance to cover the property and goods installed during construction, Public Liability Cover and Workers Compensation Insurance for all employees onsite. Do they have a proven track record of successful projects? An experienced builder who has consistently delivered successful projects is going to have a large group of satisfied clients. Take a look at their previous projects, browse through their portfolio on their website and refer to the testimonials that their clients have given them. Ask the builder for a list of references or testimonials of their most recently completed projects and take the opportunity to contact the owners to find out how they feel about the overall quality and workmanship of their extension or renovation and the overall level of service their builder provided them. Find out if they would use the same builder again, how effectively they communicated and how easily any issues were resolved. Roddy Constructions are more than happy to provide you with a list of our past clients and their contact details. Please feel free to contact us directly or take a look at our testimonials page for past references. Is the builder flexible throughout the building process? If you first design your project before approaching a builder for pricing, it is crucial that the builder reviews the architectural drawings in great detail with you to discuss any ‘buildability’ concerns they may have with the design and/or recommendations they have that could improve the design. Roddy Constructions values the time spent with clients in the early stages of the quoting process to iron out any design changes required and discuss alternative options (if only minor), that can save the client time and money, while maximising the overall success of the project.It’s also important that the builder is open to design changes and is flexible throughout the duration of the project. It is worthwhile gauging the builders views on design changes throughout the build before you enter into a contract with them. People can often change their minds about how they would like the end product – after they see the it half built! The builder must be be open to altering the contracted works to reflect the clients change of heart. While extending or renovating your home is an exciting time, it also can be a stressful process if you do not select the right builder for you. By following these simple suggestions you can choose the right builder to help turn your dreams into reality. To take a look at our completed projects, visit our project gallery.